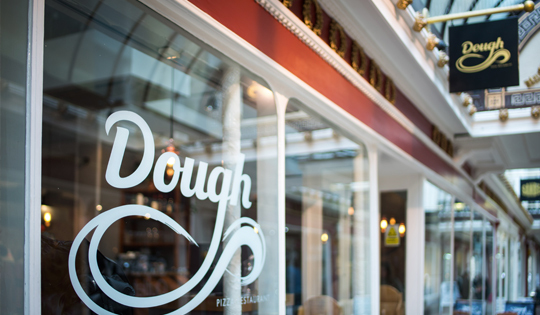 Occupying two seamless back-to-back units with one entrance on Bath’s historic shopping walkway The Corridor and another on Northumberland Place and offering a glamorous alternative to ‘typical’ pizza restaurant experiences elsewhere in the city, Dough Pizza has, since opening its doors in the spring of 2016, established itself as a hugely popular addition to the Bath independent restaurant scene… despite the fact that, in the Heritage City, pizza is hardly a lesser-spotted speciality. But this cheerful little contemporary trattoria proves that not all pizza restaurants are equal. 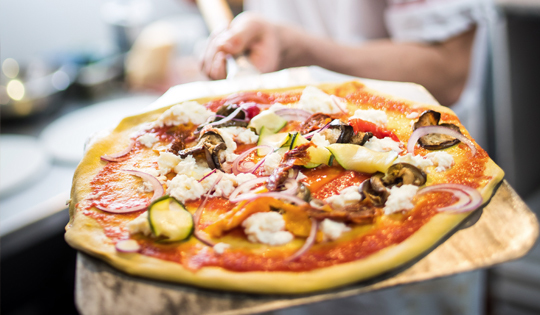 In the hands of festival food aficionado Massimo Nucaro and his award-winning pizza chef partner Emiliano Tunno (a “skilled dough acrobat,” no less), describing the Dough Pizza menu as largely based around pizza does little to summarise what’s on offer here. While a first glance at the array may not initially predict a voyage of discovery (stress ye not, traditionalists; Margherita, Napoletana and Quattro Formaggio all await your attention), novel offerings such as the Particolare, the Capisch and the Venus on Sea (yes, really) lift the selection up, up and away from any notion of humdrum from the off, with well-sourced produce and ingredients pivotal to the success of every pizza. 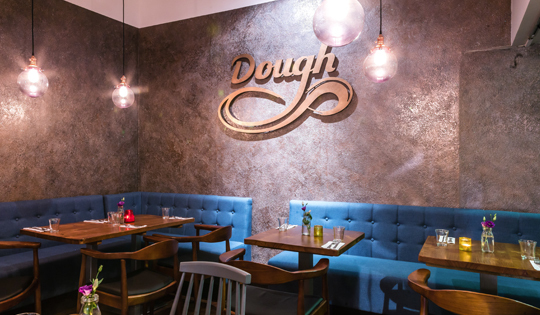 But here’s the big reveal: a range of specialist, freshly made doughs including hemp, seaweed, kamut, turmeric, the recently-introduced Venus black rice and gluten-free options alongside the classic sourdough are available on which to have one of the chefs plonk your topping, in full view of your table courtesy of a lively open kitchen. Fad? Far from it! 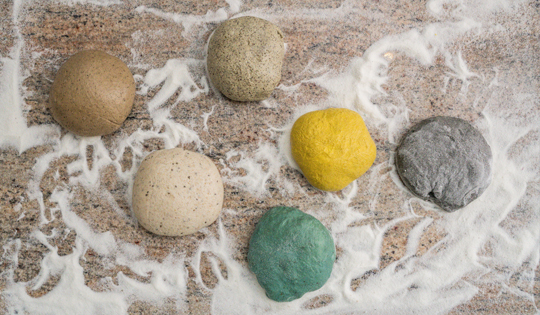 Each dough brings all manner of easy-to-digest health benefits to the party too – the multigrain, for example, combines the sweetness of natural grains with the crunch of sesame and pumpkin seeds; the seaweed contains spirulina; the hemp is laden with omega-3 and omega-6. 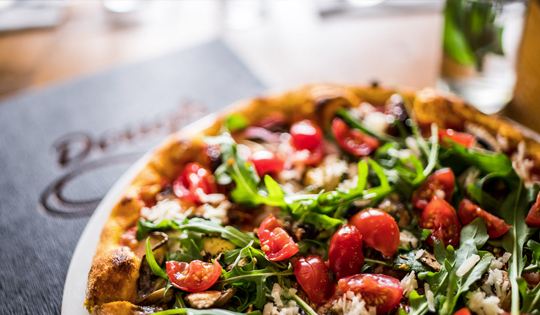 But whichever base you choose, it’s light, freshly prepared and easy to digest, and therefore doesn’t give you the dreaded downer that is the post-pizza slump after you’ve pigged out – and on our most recent visit we indulged in a full-on blow-out, so we should know about that. Having shared a classic antipasto selection that included the most perfect Pecorino I’ve ever encountered alongside silky charcuterie, more cheese and divine roasted vegetables, we opted to share two pizzas: Emiliano’s most recent creation (specials are introduced on a regular basis) which cleverly combines crunchy speck, caramelised onions, mozzarella, ricotta, olive pate and pistachios on a turmeric dough topped with a deeply umami Parmesan disc, and The King – an utterly indulgent, lavish pizza feast that brings massive whole king prawns to the seaweed dough-based party alongside de-shelled king prawns slow-cooked in smoked paprika, porcini mushrooms sautéed in white wine, elegant rocket pesto, luxurious truffle oil, pink pepper, parsley and lime zest – phew! Seriously, these were seriously good pizzas: tasty and tasteful, imaginative but reassuringly authentic. 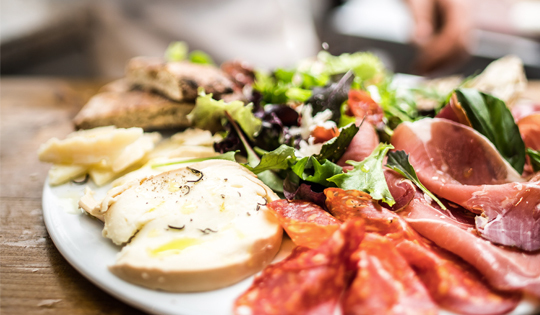 Elsewhere on the menu there’s a range of exceedingly generous antipasto sharing platters alongside all manner of attention-grabbing dolce vita options including an intriguing starter of cauliflower soufflé with a gorgonzola heart, lively 3-fish ceviche and featherlight fritto misto, while gnocchi, pastas, parmigiana and more keep the pizza-phobics happy. At the finitura – and true to form for the territory we’re on – desserts are as seductively indulgent as Sophia Loren’s va-va-vooms. 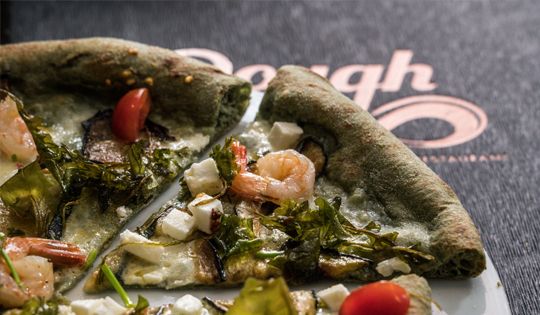 But really, the pizzas are the star of the show: magnifico-o-o-o-oh-ooh-dough.